← Interview with Author Cyn Taylor and a Giveaway! 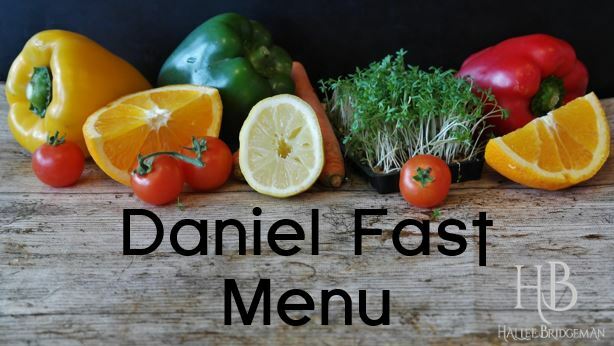 In my Monday Morning Coffee and Chat, I talked about doing the Daniel Fast for the month of April. A friend asked if I’d post my menu while we did it, because if you’re not used to a vegan diet with no processed soy, leavening, or sugars, you’re facing a daunting challenge of meal planning. A Daniel Fast is a vegan fast. That means, no animal proteins at all, including dairy and eggs, and only water to drink. It also has “no pleasant food”, which to me means processed sugars and baked goods. We also do whole grains (no white rice, etc.). Passover ended, so we can now eat leavened bread. Most bread I make has some form of sugar (or honey) and dairy (milk or eggs); however, I have a pita bread I make and a French bread I make that do not contain any sweeteners or dairy. I will keep those on hand during the fast. Dinner: pink beans, turnip greens with turnips, steamed broccoli and cauliflower, fried cabbage (leftovers), French bread. Lunch: leftover beans and greens. Lunch: baked sweet potato, steamed broccoli, salad. This entry was posted in About Hallee, Blog, House of Bread, Life, Recipes and tagged daniel fast, fasting, menu planning, prayer and fasting, vegan menu. Bookmark the permalink.